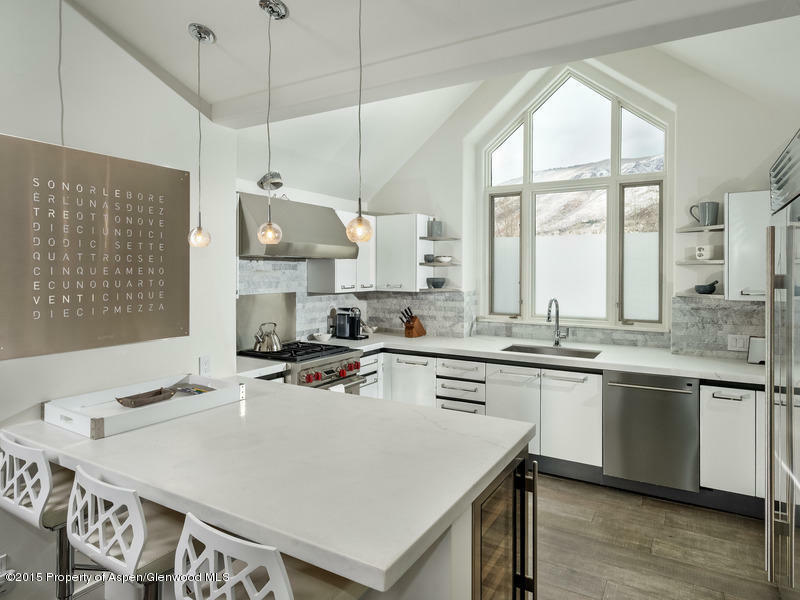 Completely renovated in 2015 by renowned designer using a fresh pallet of mountain chic, organic textures of stone and wood, mixed with the finest finishes. 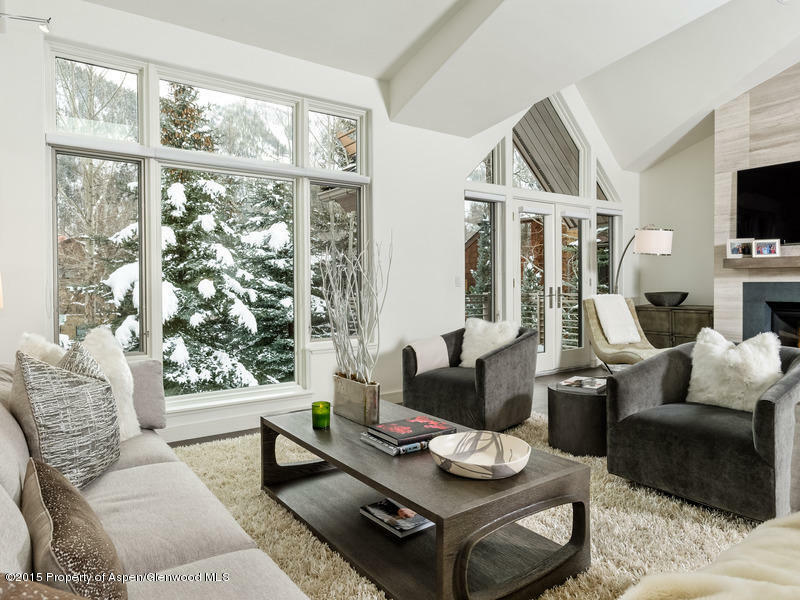 Contemporary light-filled great room with vaulted ceilings, stunning fireplace and spectacular views of Aspen Mountain, gondola, Red Mountain and Smuggler. 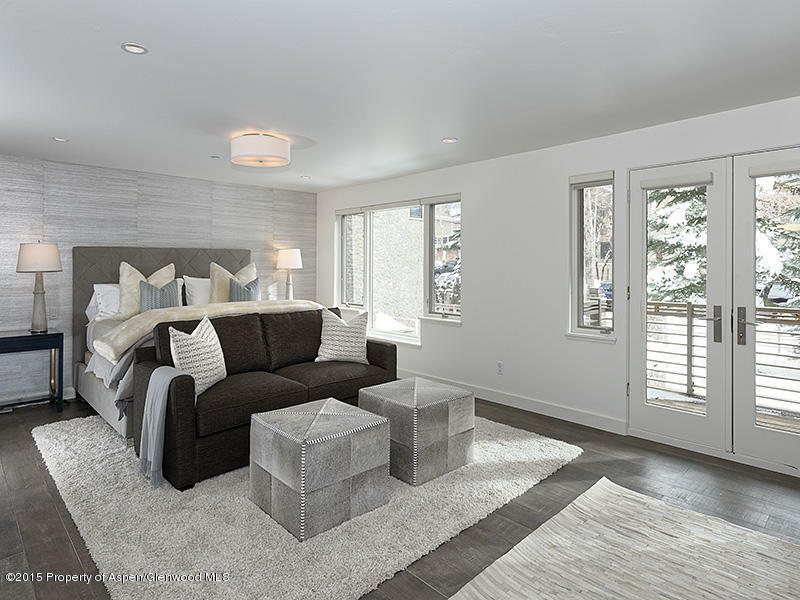 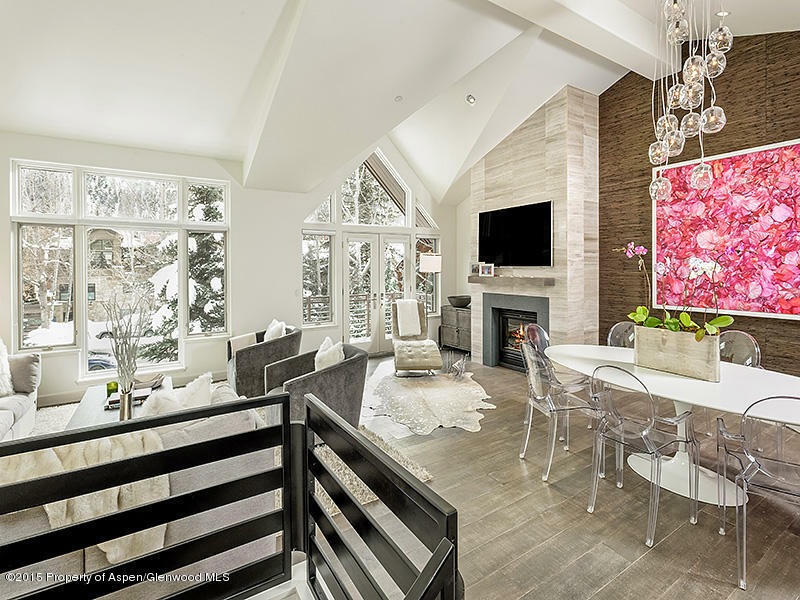 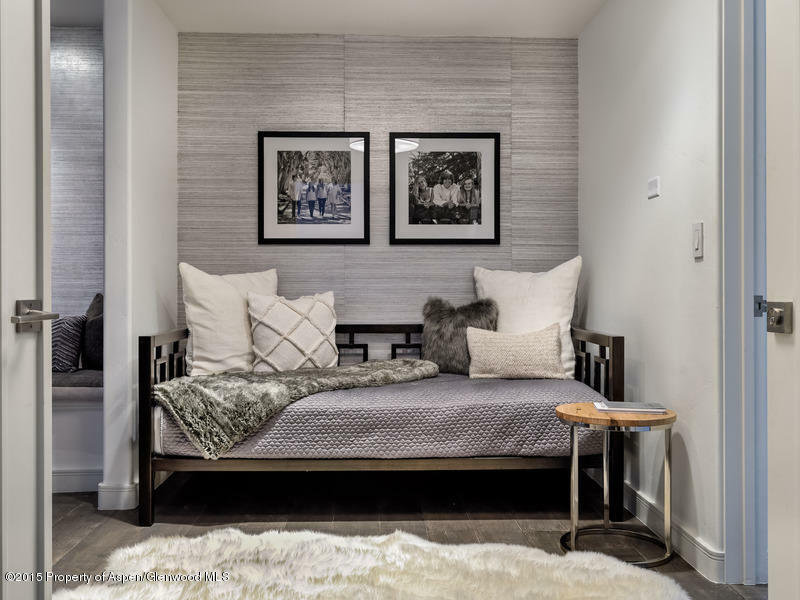 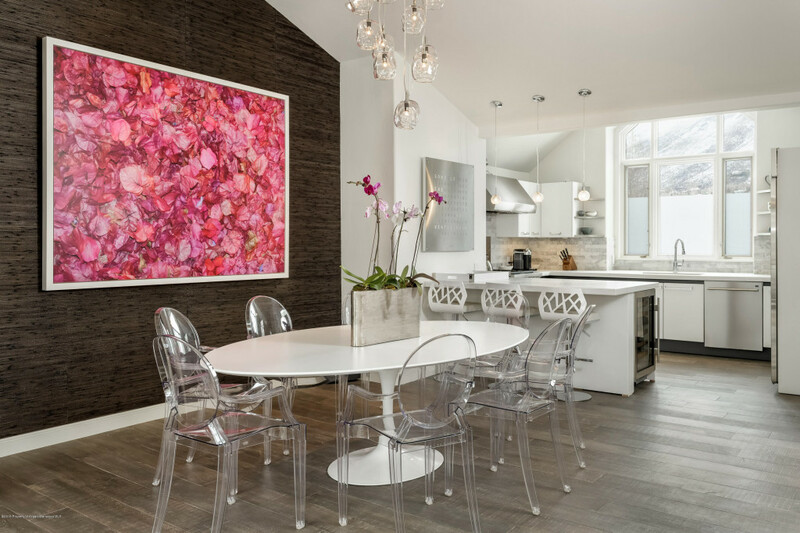 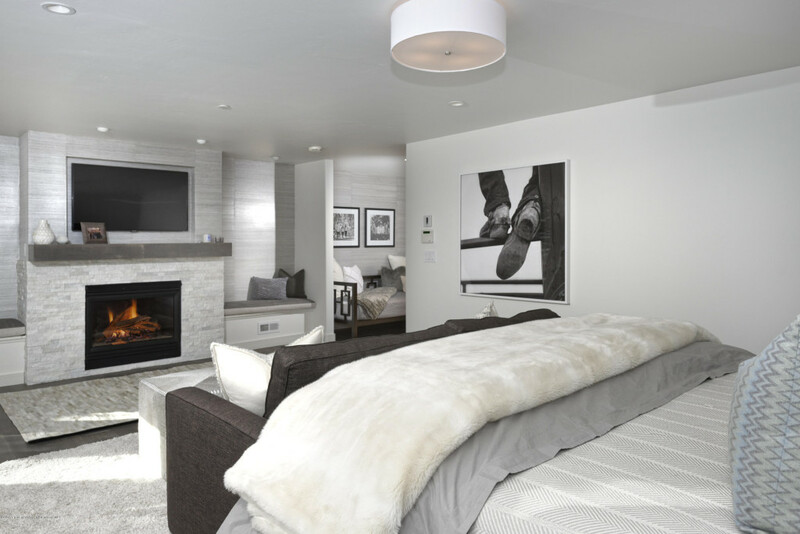 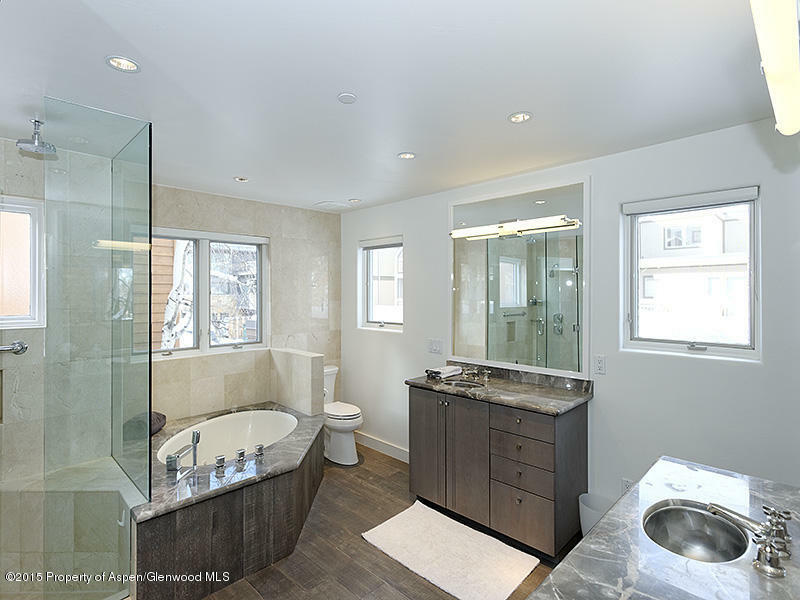 Located on a peaceful cul-de-sac in Aspen’s central core with 2 south-facing balconies and an abundance of natural light, this 3-level, end town home is truly a cut above all others. 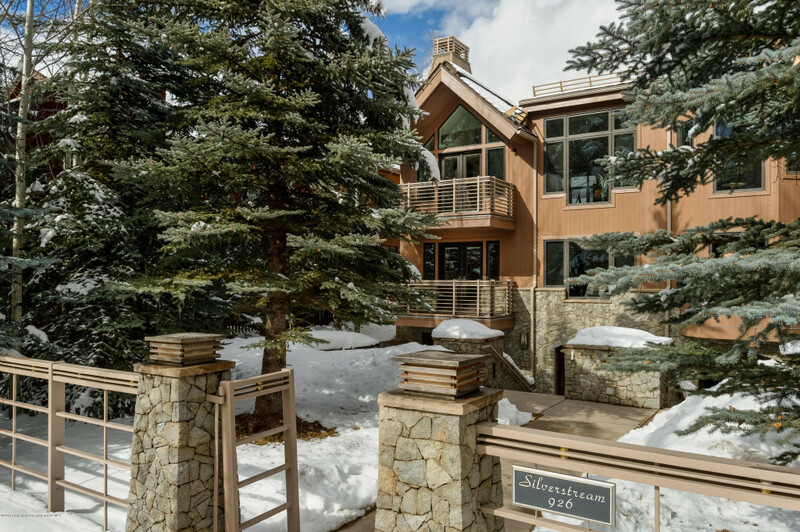 Enormous master suite with fireplace and double walk-in closets encompassing the entire second level plus 2 spacious above-grade guest bedrooms on the entry level. 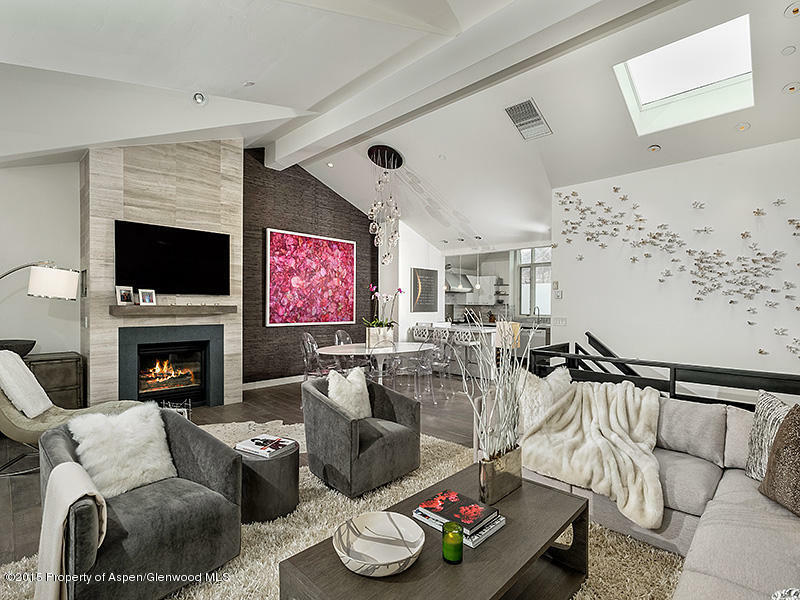 Property is for sale fully furnished including art for $6,250,000.